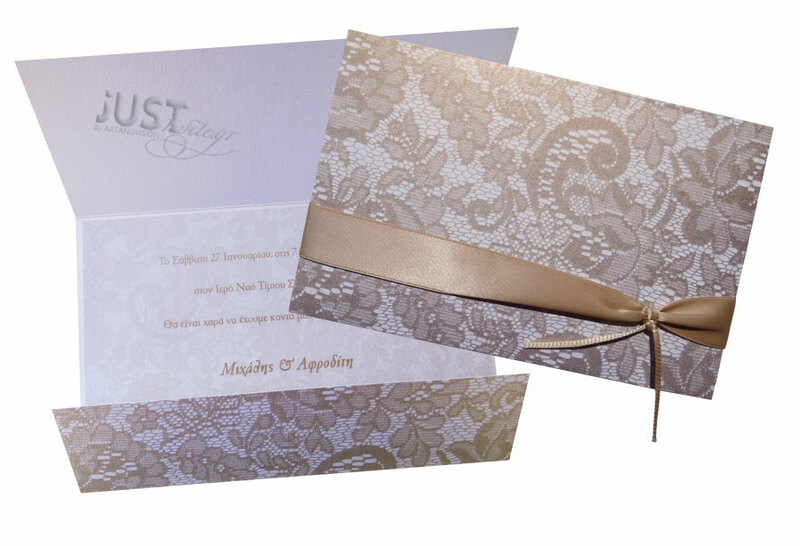 An elegant lace pattern wedding invitations coming with long, white, pearlised envelopes and a lace overlay in champagne colour and a matching crisp insert with your personalised wording printed in plain gold colour. The design of the envelope is finished with a gold satin ribbon and silk thread. This range is available in an assortment of colours. Size: 21 x 14 cm. https://www.preciousandpretty.com/2017/10/lace-pattern-wedding-invitations-A908.html Greek Wedding Favors|Orthodox Crowns|Stefana|Baptism Invitations Lace pattern wedding invitations A908 Wedding invitations, in classic style with lace pattern, satin ribbon and silk thread. Product #: Greek Wedding Favors|Orthodox Crowns|Stefana|Baptism Invitations_2291173126783842649 5 stars out of 5 reviews.